The Profit Professionals of Business Solutions - The Positive Way are led by Steven C. Martin. We keep our fixed costs and our fees low by using a network of professional associates as needed for specific assignments. Our focus is on cost reduction and sustainable profit improvement. Our ethical standards. We deliver results-oriented business consulting. You can measure the impact and calculate a positive return on investment. Typical clients are medium to large companies who have seen their continuous improvement program results plateau and/or are seeing new challenges in this 21st century economy. They also want to see a clear and immediate return on investment for the work that we do together. The principles bring over 40 years of professional success to share with our clients. We have a proven track record of success with companies as large as 21,000 people and as small as start-ups and over $100 million contributed to bottom line profits. We use powerful systems and effective training to overcome barriers to success. 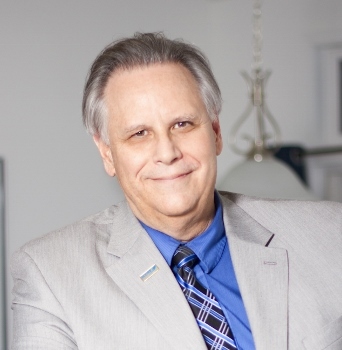 Steven C. Martin, President, is a seasoned professional manager, consultant, patented inventor, cost reduction expert, and problem-solving expert. Fortune 500 and family businesses have used his proven turn-around and problem-solving skills. He has extensive experience in both manufacturing and service businesses. His engineering degree is a foundation for over 40 years of professional practical knowledge and extensive technical and business graduate studies. In 1999 he was awarded a Master of Science degree in Creativity and Innovation from the State University College at Buffalo International Center for Studies in Creativity in recognition of his extensive work in creativity and problem solving. He was the 136th person in the world to have been awarded this advanced degree in creativity. The Center is the only educational institution in the world that grants an advanced graduate degree in creativity & innovation. TVS Rubber, Sundaram Industries Ltd.
Chasun Chemicals and Drugs Ltd.